This week was the unpopular yellow ball, where the pressure is on one player every hole. Score 3 points and your score is doubled, score none and lose ground on the rest of the field. 15 teams, 59 players with just one 3 person team ( through no fault of their own). Most hated it, but there were 2 excellent scores. 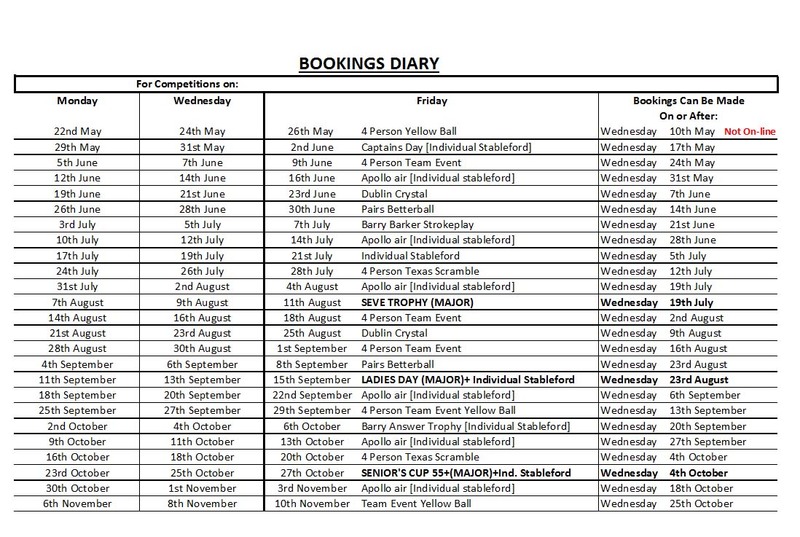 Yellow ball competitions have been removed for 2018 as this format is not on handicap master system. 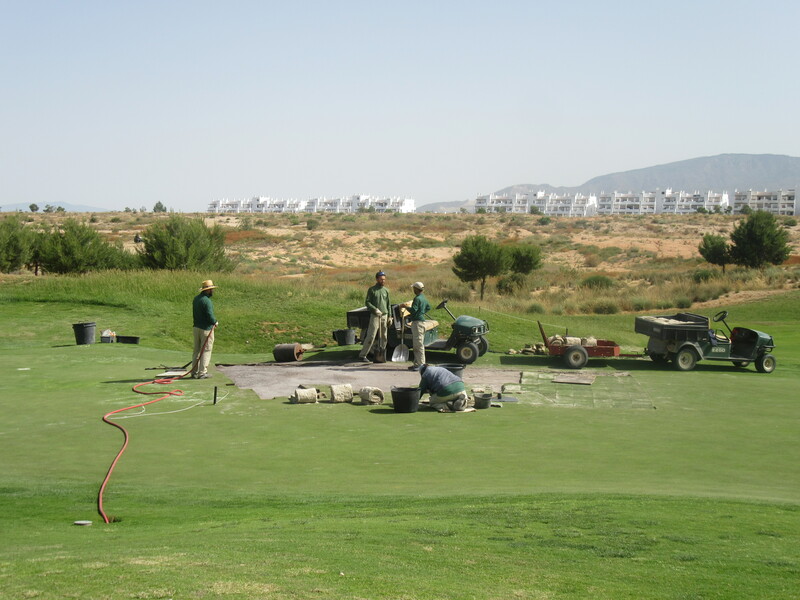 Work has started on the replacement of the greens, which means that just one green will be out of action at a time. At the moment it is the 1st, which maybe favours the higher handicappers? 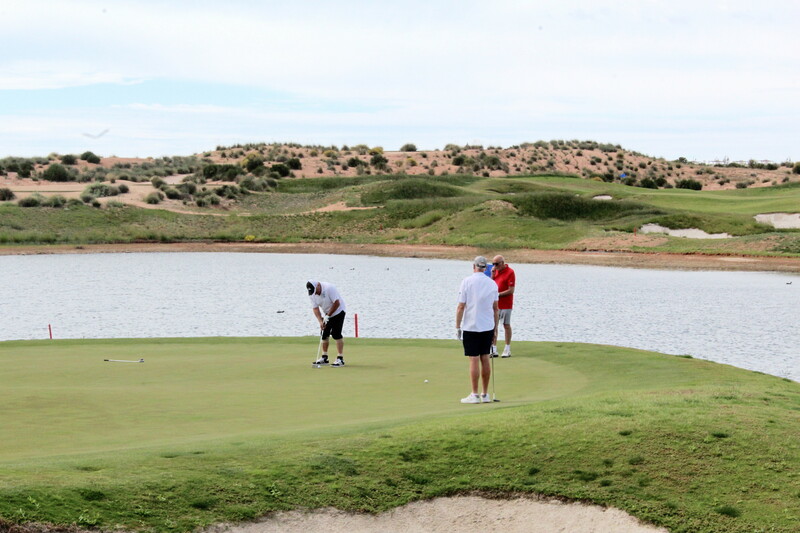 Fran Thomas, Tim & Jim Rowley watch Tom Henderson try to hole a putt on the temporary green………. 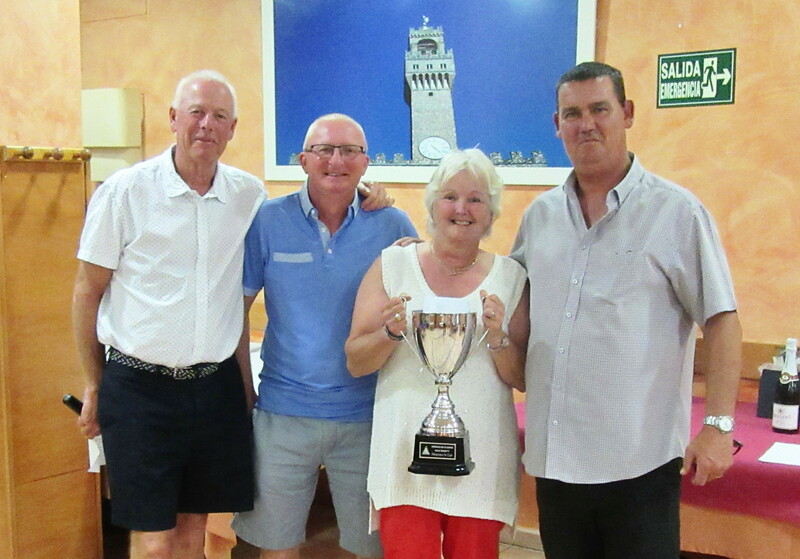 And her are the winning teams…………………..
Dave, Pat and Kim – Bob was on his way to UK to see the Cup final! 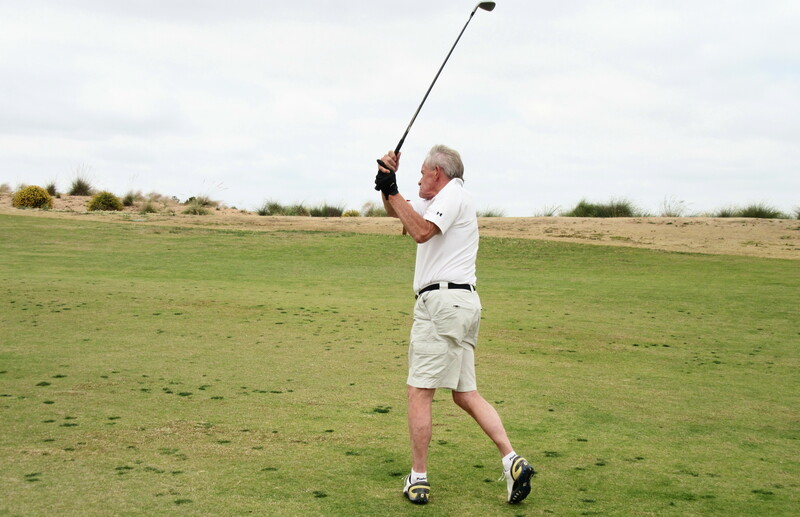 Next week is Ken’s captain’s day – if you want to play book online or see a committee member. The presentation is at the Condado Club, see Alicia by Wednesday night to pay for your meal. 3 course, 1/2 bottle wine, G Man entertainer. The guy, clearly offended, says, “Yes, but let me ask you something….. If I had asked for German Bratwurst, would you ask me if I was German? If I asked for a kosher hot dog would you ask me if I was Jewish? 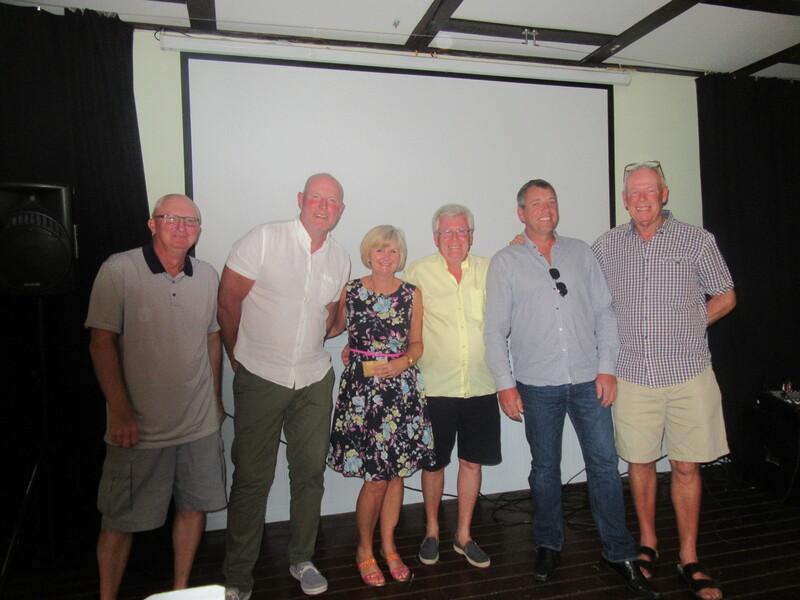 winners of the team prize – Dave, Dave, Terry and John………. 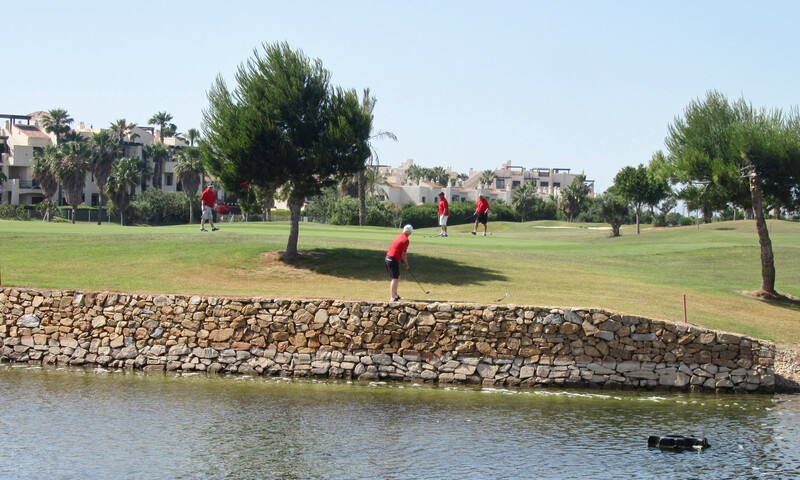 A lovely day for golf, 32 players played both an individual and team event. 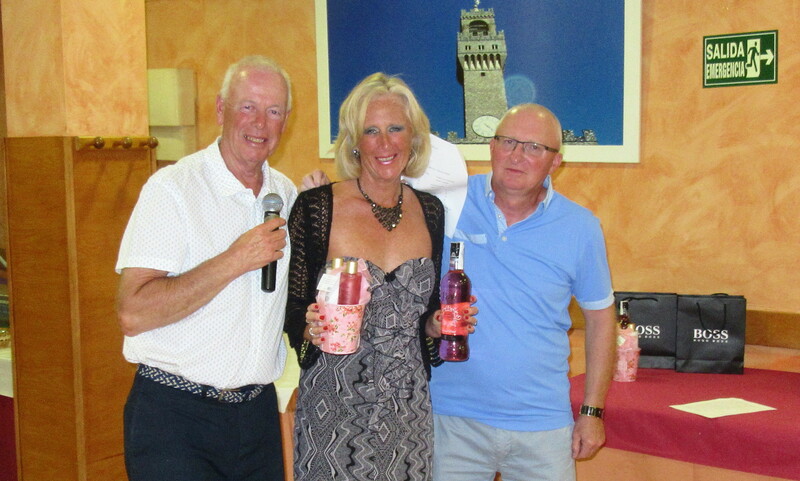 A couple under par, and lots of bad scores! The course was interesting, but the service in the bar was very poor and unwelcoming. That alone is enough to make a return visit unlikely. 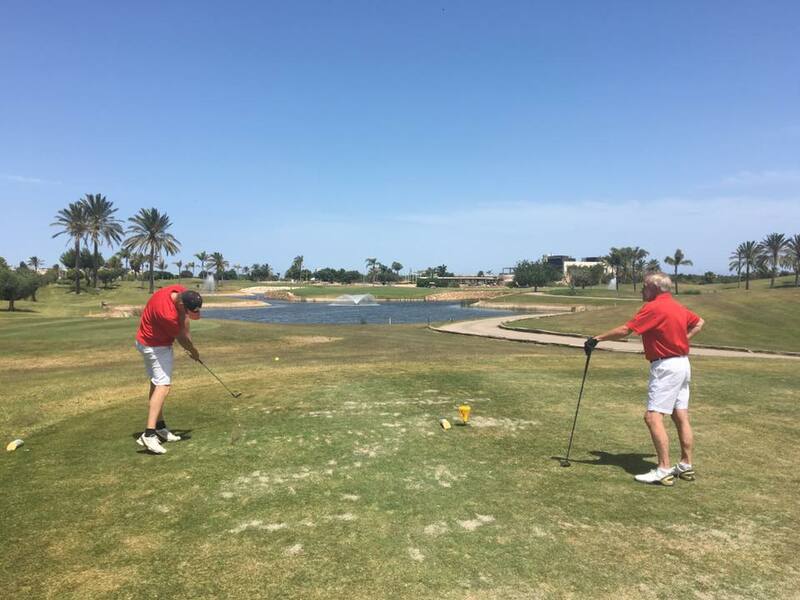 Also the coach driver somehow managed to add 30 minutes to the return journey taking us along back roads for 15 minutes before arriving back in the centre of Los Alcazares, followed by a scenic trip along the shore of Mar Menor in the direction of La Manga. 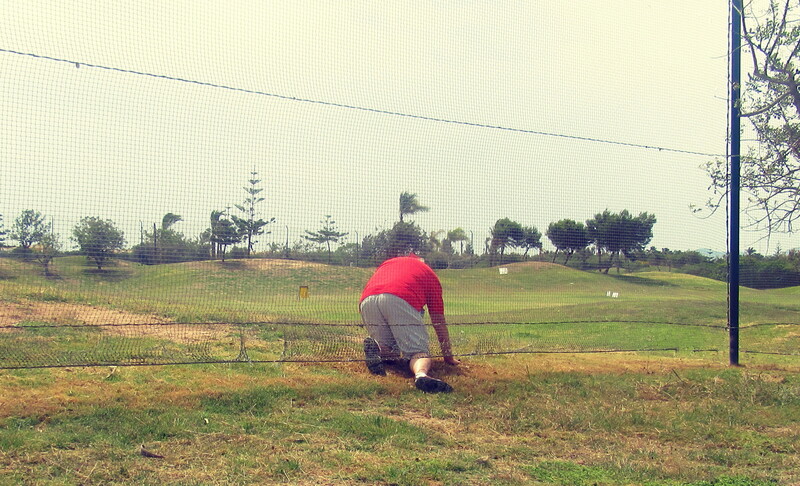 nobody told Barry Answer that the driving range on the right of the first tee was out of bounds………but he used his SAS training to roll under the net and retrieve his white ball from the mass of yellow balls……. 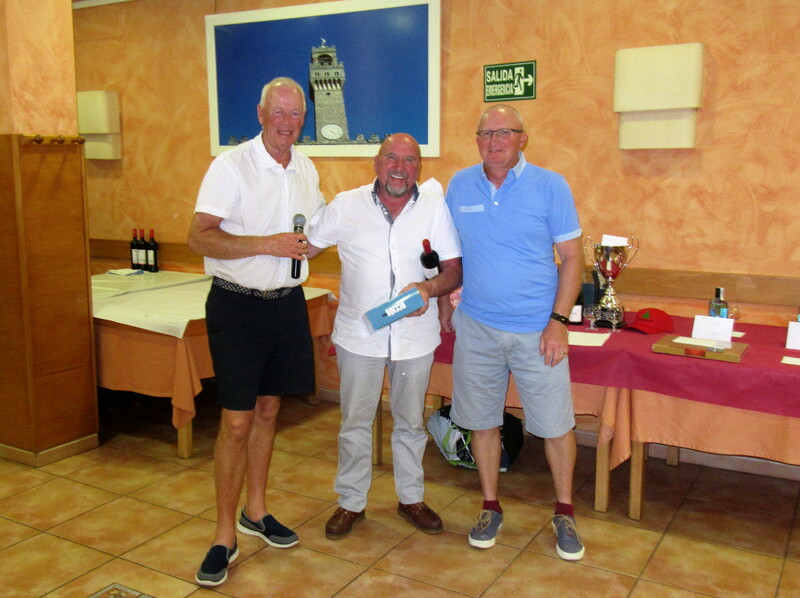 the 7th was an island green with a 1000€ prize for a hole in one – no winners today………. 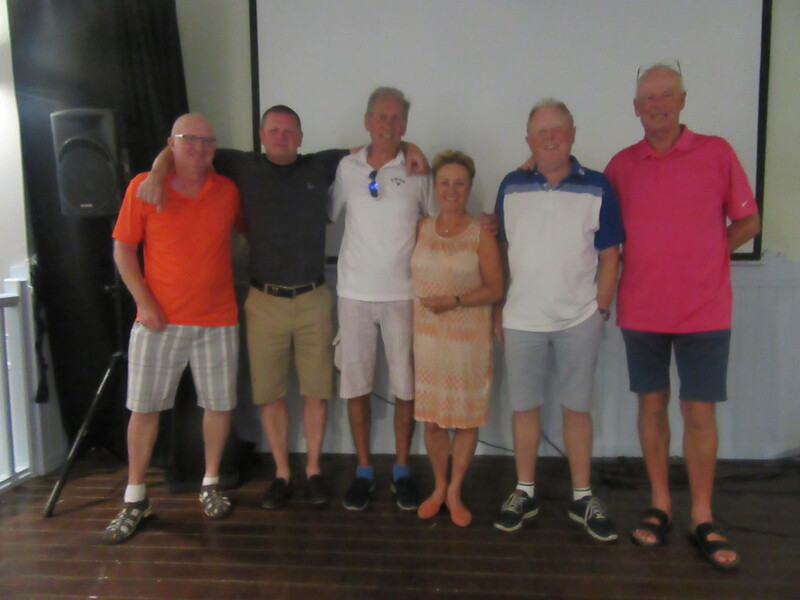 Pat Hughes, Peter Reeves, Jeff Ruellan and Jim Hershaw………..
Pat Poole visited with her Fixby fillies this week, and went away with the Apollo Air trophy………..
62 players this week and sunshine all day, although a tricky wind for all of the players. You can view all scores and positions for this competition at masterscoreboard, but also see the first leaderboard for the Apollo Air annual champion – total of the best 6 Apollo scores in 2017. so far we have played 5, so next month scores will be added to the totals, and after that the best score will be added and the worst score be discarded. For this championship report see under this weeks’ Apollo Air titled ‘best of series’. 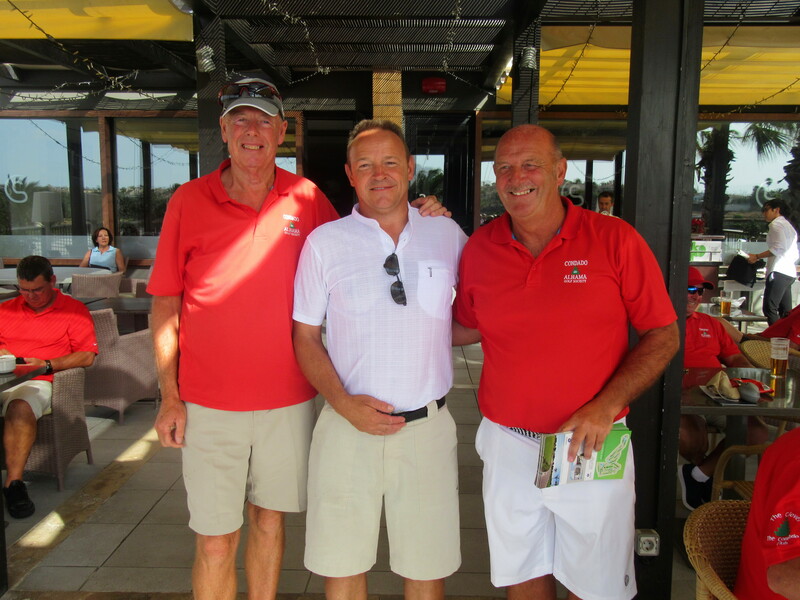 Nigel just won division one on countback………..
well done to George in division 2……………. 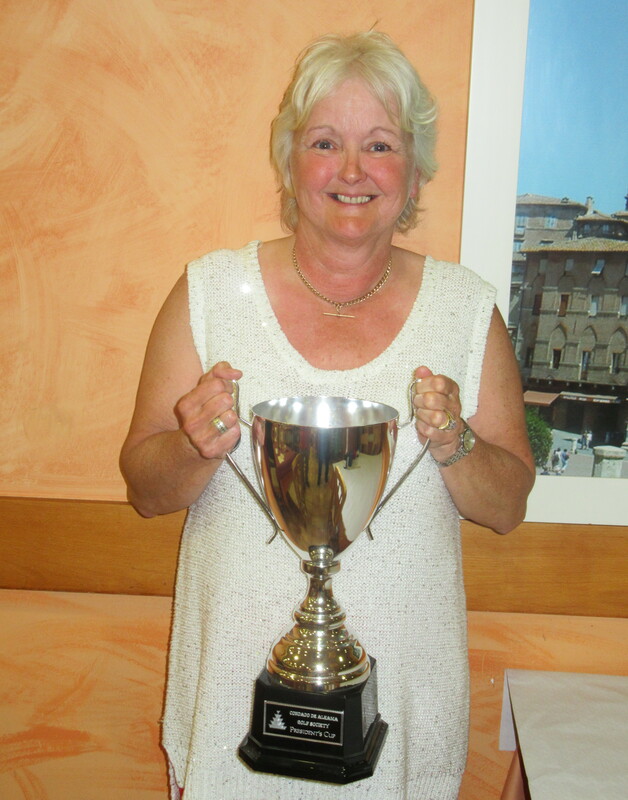 and Lis took the ladies’ prize……………. 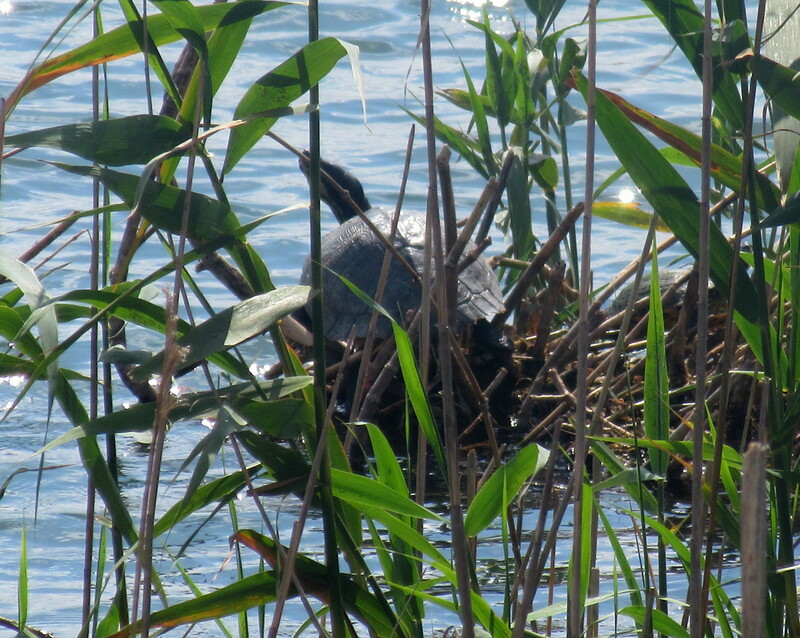 No golfers on the camera this week, but how on earth did this turtle find lts’ way into our lake on hole 9? Next week is a yellow ball team event. 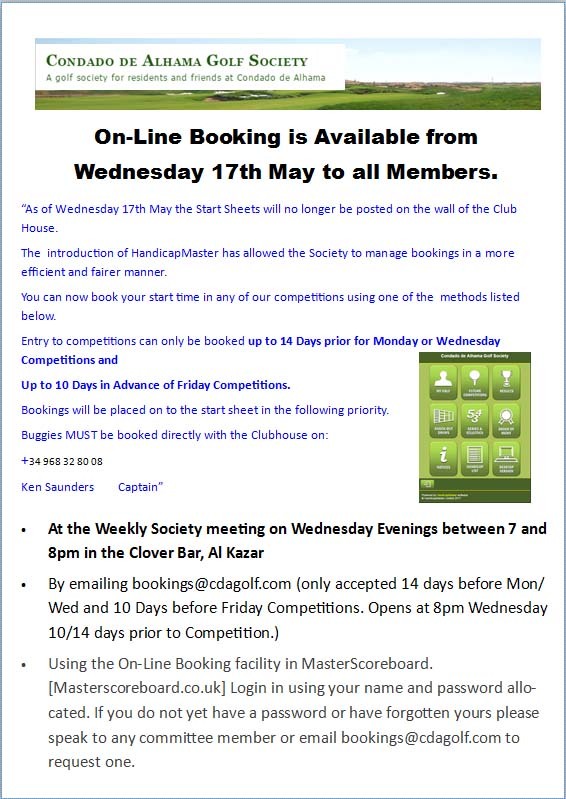 Places can be booked by members (current or past) through masterscoreboard.com. A link is on this page under LINKS – online booking. Online booking is also now available for Captains’ Day June 2nd. Please note that Scandinavians who played in the 2016 competition and wish to play this year should contact Jan Skjold (at jandskjold@gmail.com) before May 31st. Monday start sheet for Roda also here, bus leaves 10 a.m. from Al Kasar, any 3 balls will play first with 4 ball times drawn on bus. Please try to wear red tops on the day. 40 places have been booked. Green Fee incl Buggy €45. Optional meal after golf, Burger, Chips and Pint €8.00 or Pizza and Pint €8.00. Transport included. 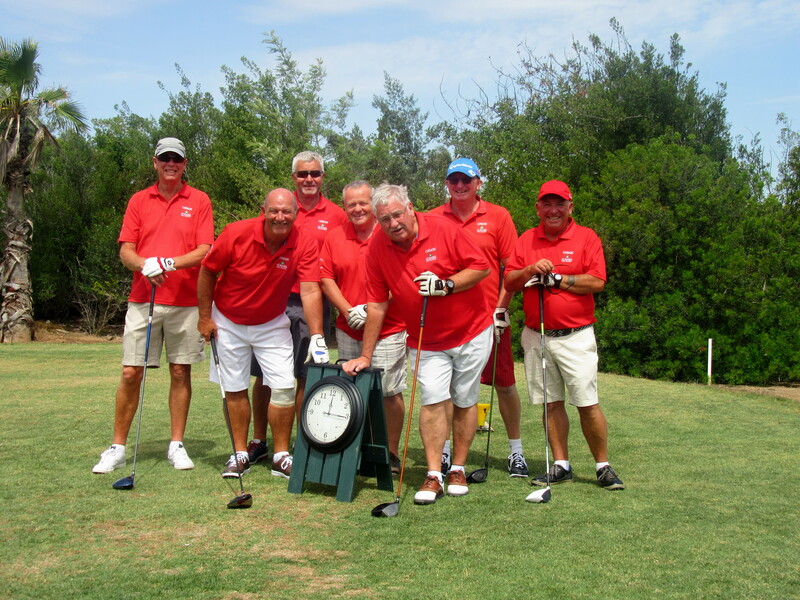 Bus leaves Al Kasar car park 10.00am, First tee 12.08. Bus leaves Roda Golf 20.00pm returning to Al Kasar. they expect you to cater for their every whim. conclusion – cats are small women in fur coats. Find below an extensive explanation of the procedures necessary to use the online booking faciljty. 1. 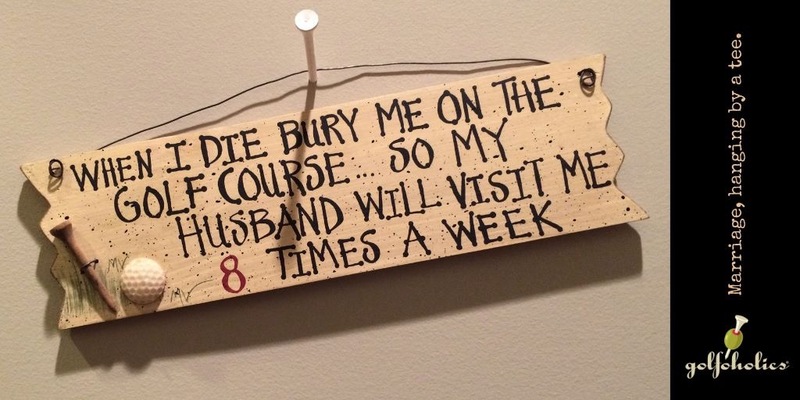 In the first instance a note will be placed on the membership record. 2. 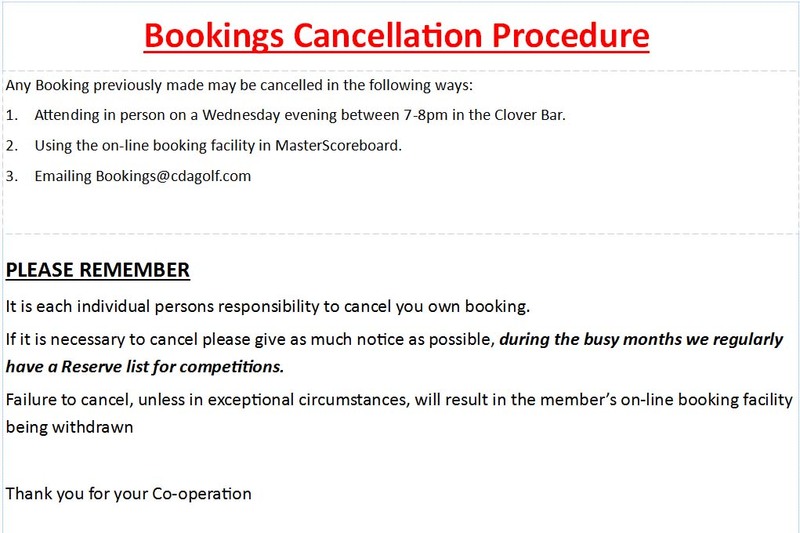 In the second instance to member will be suspended from using the online booking facility or email facility, the term of the suspension will be determined by the committee. 1. 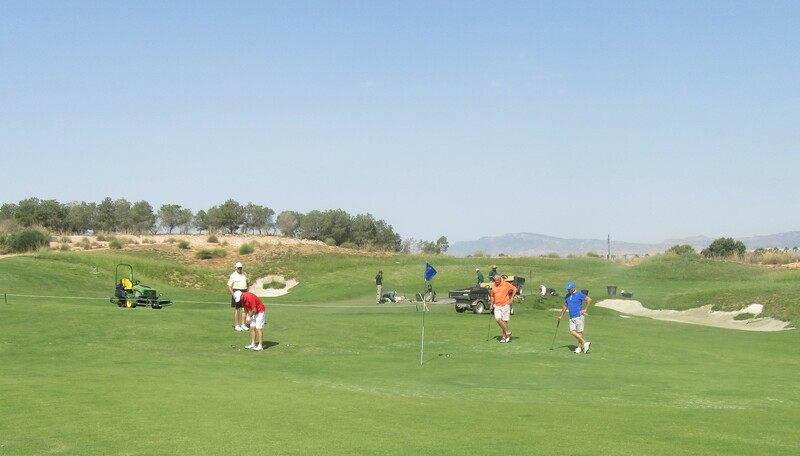 It is advisable for members who wish to play with guests to book into competitions by using the email facility (it is not possible for guests to be booked in online). 2. 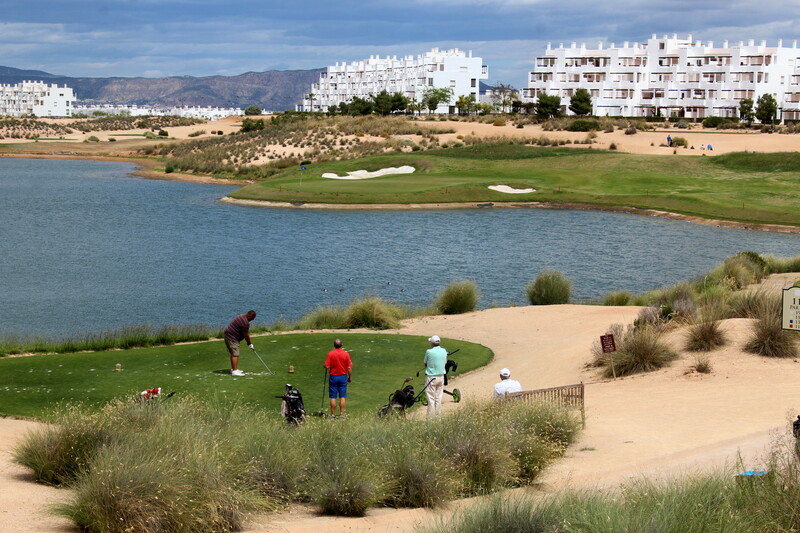 All members will have priority over guests regarding playing in competitions. Therefore, guests will only be added to start sheets at the point of the competition being closed for entries. 3. All guests must provide proof of a valid handicap prior to taking part in a competition. (it is not possible to enter a guest on a start sheet without a handicap). 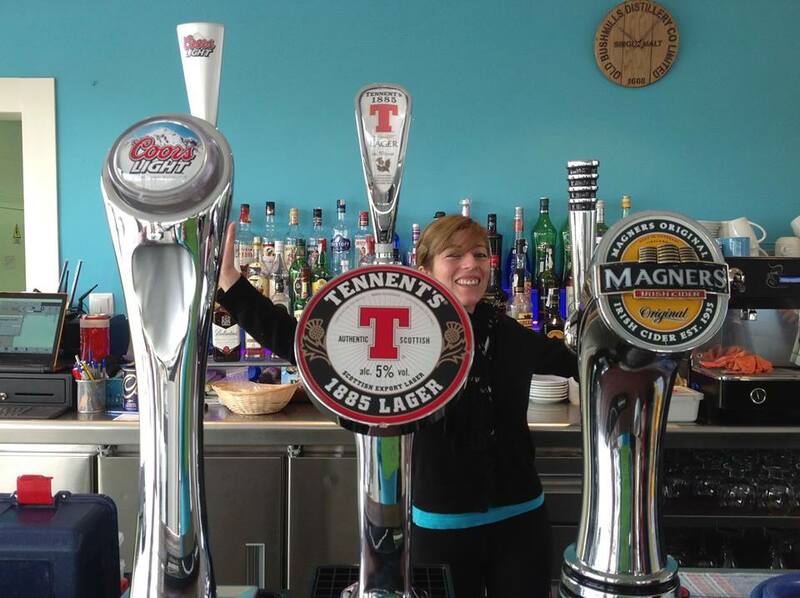 it was a happy 30th birthday for our bar manager at the golf club. 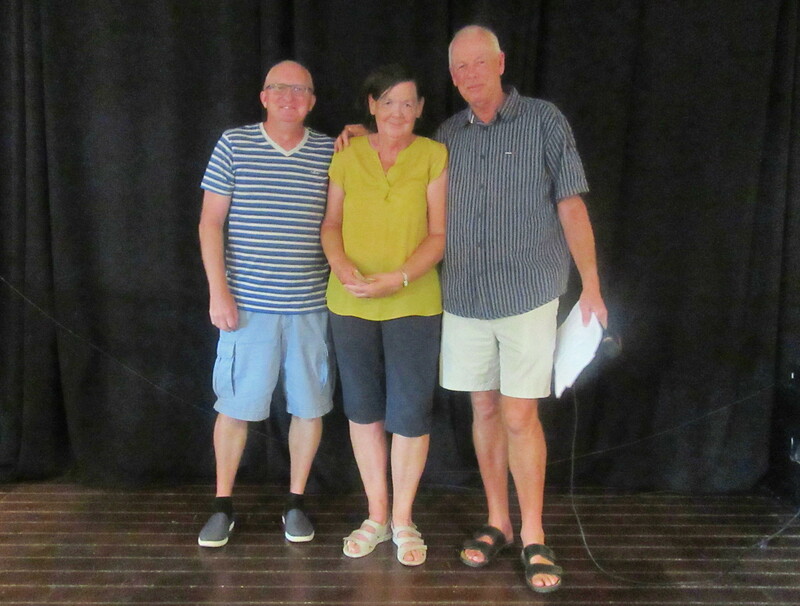 Jenny was given some time off by Denise and Byron to enjoy the rest of her special day. 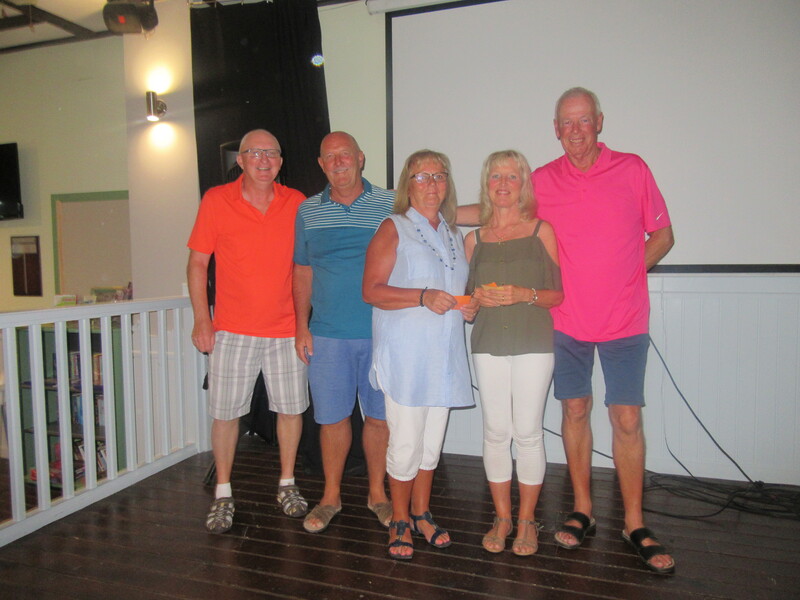 Another variation on a 4 person team – this week, quite simple, the best 3 nett stableford scores went on the card at each hole. 48 players with the wind getting up for the later starters. 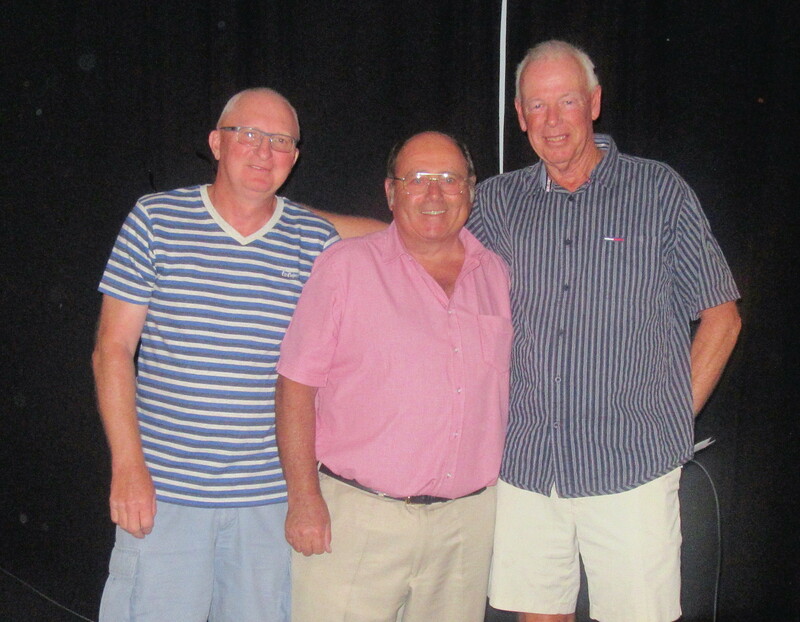 Roy, Terry, John & Tom were the winners………. I didn’t play, so could get out on the course to take a few pictures…………..
Peter Reeves putting for par (with 2 shots) on hole 11……………. 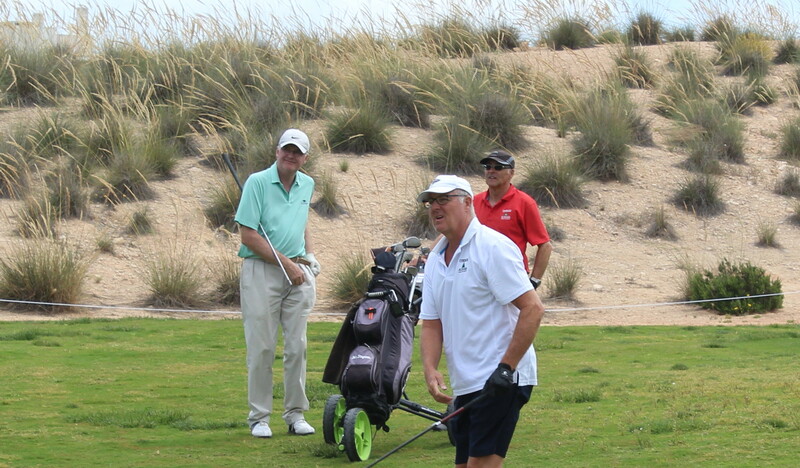 Peter selects a driver off the 12th tee……………..
Next week is the May edition of the Apollo Air competition. With 12 such competitions a year, we have decided to trial a competition for the overall champion for 2017. 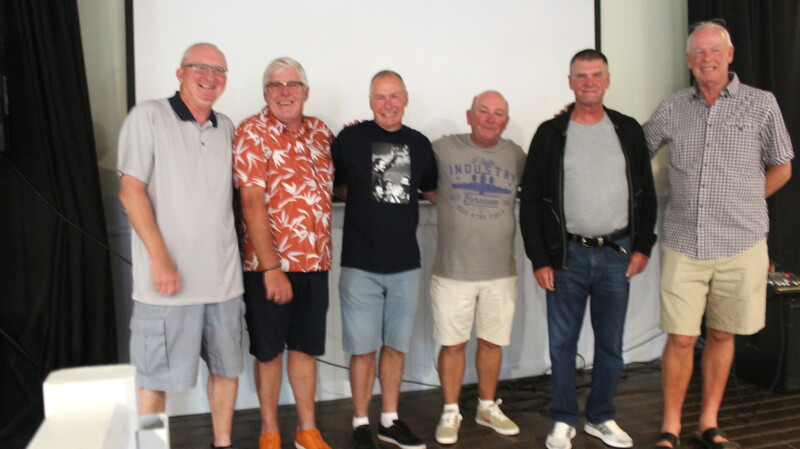 As it is untried, we have settled on using a total of the best 6 scores – maybe more would have ruled out too many members and less may favour those who have only played 2 or 3 rounds. We will re-evaluate this after this year is completed. The handicapmaster database can produce this information easily, so we will try to use available options like this. The first leaderboard will be published next week after the 5th qualifier. Monday 22nd May is the away day to Roda. 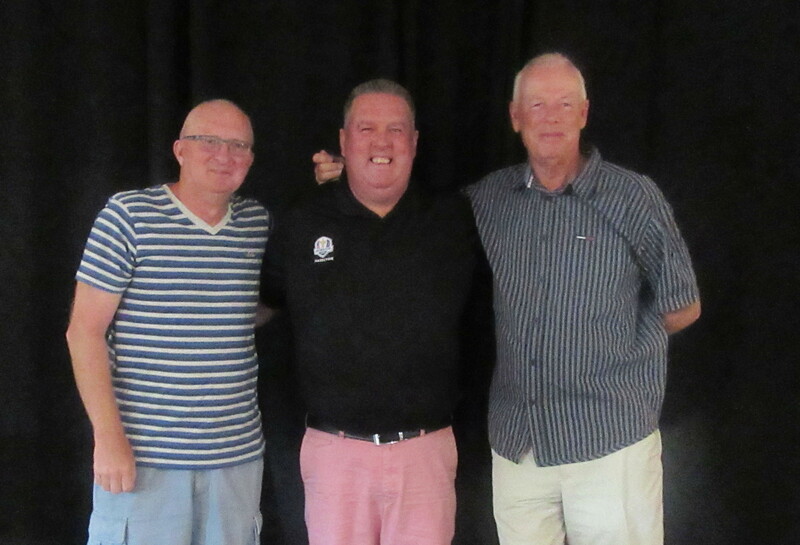 55€ inc bus, meal, packed lunch and golf insurance, and we need to let them know the final numbers by Wednesday, so contact myself or Dave Lloyd at bookings@cdagolf.com ASAP if you want to go. Obviously this dream involves me being first back in the clubhouse and sat on the balcony in the sunshine, with a nice cold pint…………. 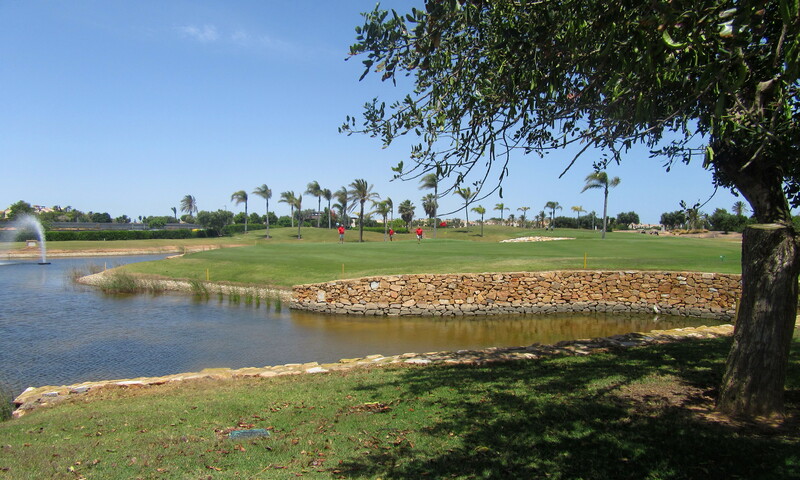 we would have had this view as the players completed their round on the 18th, and be able to see the start of the back nine on the tenth hole………………. 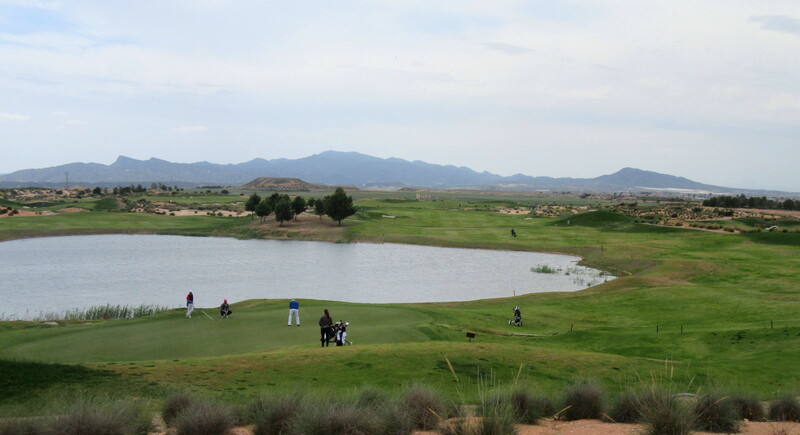 and a great view of eagles, birdies, and much worse with the water having a serious influence on hole nine………………. 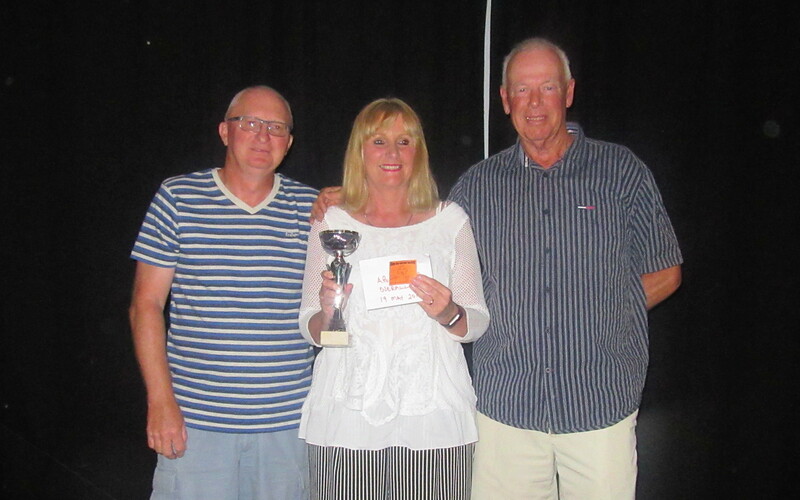 Well, it was only a dream…………………………..
this year’s champion, Jane Hutchinson……………. 49 players and 8 guests for this week’s president’s cup competition – Neil Simpson has only been in the role for 4 days, and his big day has already arrived! It was nice to play in warm sunshine after the cool weather of the last couple of weeks and it was the ladies who were in control of the championship. Jane Hutchinson and Liv Aaland cleared 40 points easily, leaving the guys fighting for the divisional prizes. 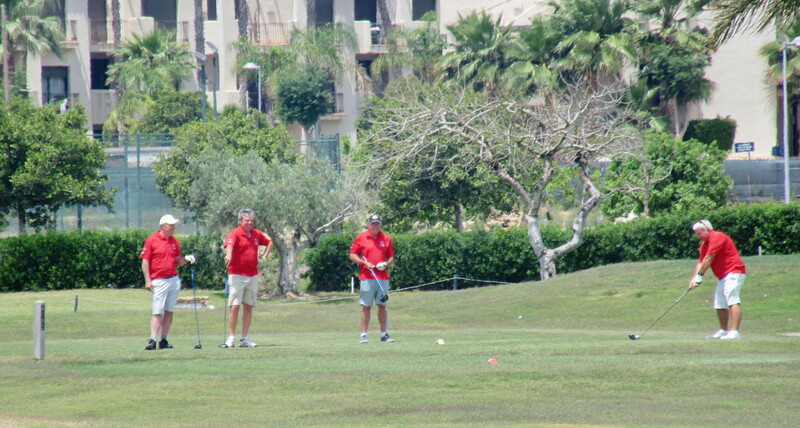 Charlie was nearest on hole 8……………..
Only one photo from out on the course……….Jim Alwell playing from the fairway (as usual!). 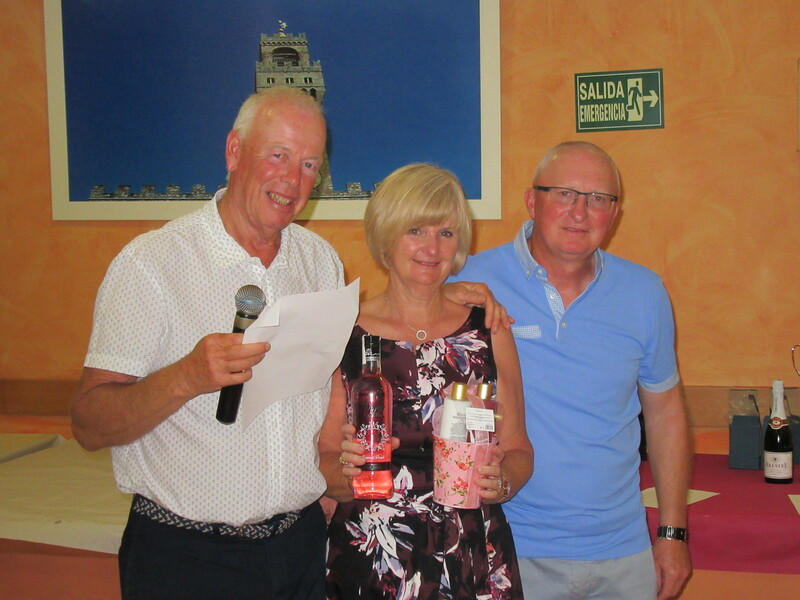 The guests at the presentation at La Siena restaurant in Mazarron were entertained by Andy Woodward – thanks to Alicia for making all the arrangements, and to Lynne for acting as starter for the golf. Next week is a 4 person team with the best 3 scores to count. May 22nd is the away day to Roda – here is the current list of players. If your name isn’t there and you want it adding, please let me know. Monday May 22nd Away Day. 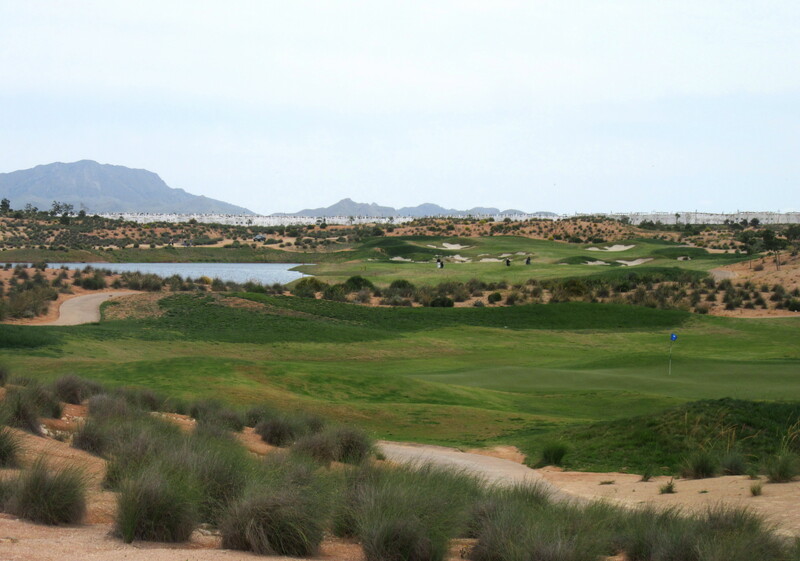 Roda Golf has been arranged: 40 places have been booked. Green Fee inc Buggy. €45. Insurance (where applicable)€1.50. Optional meal after golf, Burger, Chips and 1 X Pint €8.00 or Pizza and 1 x Pint €8.00.Transport included. 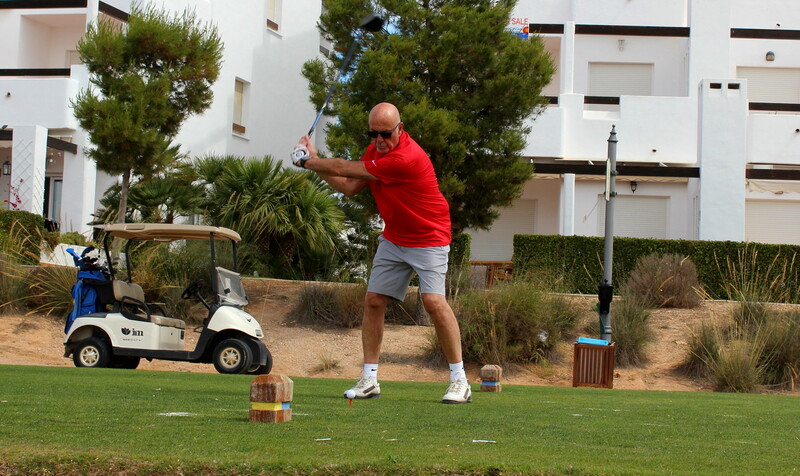 Bus leaves Al Kasar car park 10.00am, First tee 12.08. Bus leaves Roda Golf 20.00pm returning to Al Kasar. Interested?, Contact Dave Lloyd or Barry Barker.